Upgrades galore in this gently lived in home that shows like a model with all the bells and whistles. Sought after open concept floor plan w/split bedrooms the master is tucked away on one end and the 3 other bedrooms on the other end. Home features 10'ceilings with 8 foot doors on the first floor 9' ceilings on the second floor. Gourmet kitchen with oversized island, upgraded granite, appliances, and a beverage center. Loads of built ins in the great room with gas fireplace. 1st floor laundry features built in cabinet with utility sink. Large garage that will hold 3 cars but appears as a 2 car. 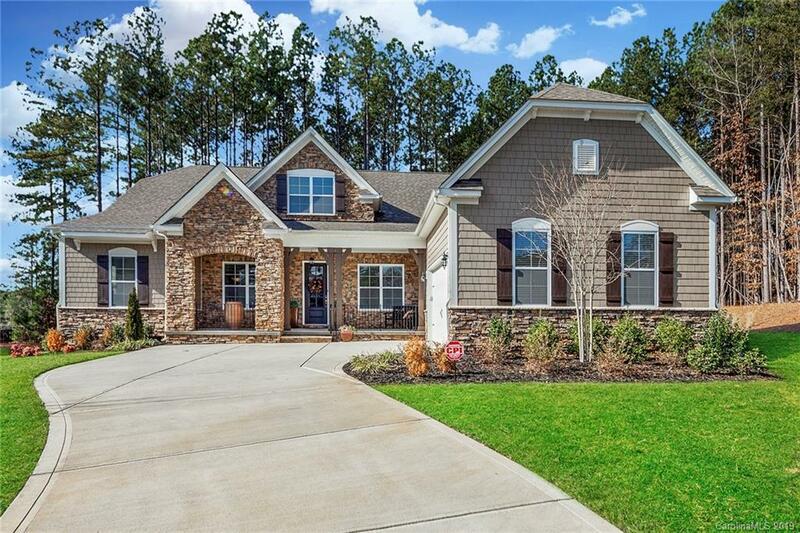 This home has surround sound inside and out along with extensive moldings and gorgeous hardwood flooring. Second floor offers 5th bedroom, full bath, game room and additional 500 sqft. of storage. Beautiful outside entertaining area with fire pit with LED lighting in sitting wall. Covered back porch provides additional private living space. To many upgrades to share.